Sales of fuel-efficient hybrid cars are ratcheting up as gasoline prices continue to rise, so it’s of interest to note that a new entry joins the list of top selling hybrids March 2011. In its first month of sales, the all-new 2011 Lexus CT 200h is now the number three hybrid on the list. Our source for hybrid sales information is HybridCars, but we provide our own unique take on each of the top selling hybrids March 2011 – and limit it to the top five. Of course, we mention the rest of the top 10 at the end. For the complete list, check out HybridCars. 2011 Toyota Prius – Is it any wonder that Toyota continues to lead the list of top selling hybrids month after month? The granddaddy of all hybrids, the midsize Prius practically owns the field – although newer entries are gaining fast. 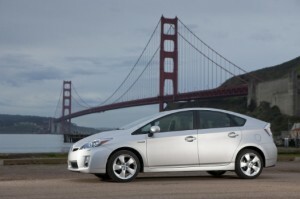 For March, the 2011 Toyota Prius racked up 18,605 sales and year-to-date numbers of 42,779. 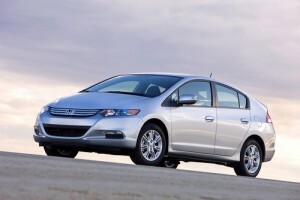 2011 Honda Insight – There’s a big drop-off from the number one spot to second place on the list of top selling hybrids March 2011, but the 2011 Honda Insight captures it with sales of 2,782 units during the month. Year-to-date total is 6,058 units. 2011 Lexus CT 200h – The all-new compact hybrid from Lexus, the 2011 Lexus CT 200h is fast moving up the hybrid sales charts. In its first month of sales, CT 200h sold 2,199 units. Just think where they’ll go from here. Toyota has promised to focus on production of the Prius and Lexus CT 200h as it recovers from the recent catastrophic earthquake in Japan. 2011 Honda CR-Z – Trading places with the Ford Fusion, this month the 2011 Honda CR-Z moves into number four position of top selling hybrids with 1,685 sales, up 54.4 percent over February. 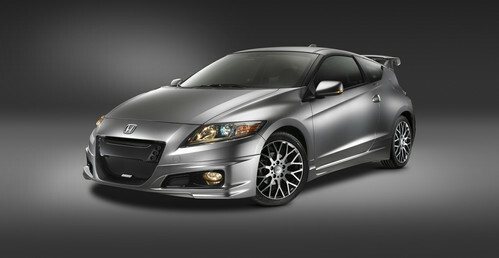 Honda sold a total of 3,670 CR-Zs year-to-date. 2011 Ford Fusion Hybrid – The hybrid version of the 2011 Ford Fusion slips to number five spot on the list of top selling hybrids March 2011 with sales of 1,466. Fusion Hybrid is still in fourth place year-to-date, however, with 3,814 sales. Rounding out the top selling hybrids March 2011 are numbers six through ten: 2011 Lexus RX 450h (1,438), Toyota Camry Hybrid (1,437), Ford Escape Hybrid (1,195), Toyota Highlander Hybrid (797), and Lincoln MKZ Hybrid (395). Note that the 2011 Honda Civic Hybrid, number nine top selling hybrid in February, slips to twelfth place with March sales of 441. Where are the Chevy Volt and Nissan Leaf in all this? They’re plug-in hybrids, and are considered separately. Chevrolet Volt sold 608 units in March and 1,210 year-to-date. The all-electric Nissan Leaf sold 298 units in March and 452 January through March.